Belle comes from a creative background in fine art and has spent the last 9 years working in fashion retail and, most recently, high end hairdressing salons that include Aveda and Hari’s salon in London’s most affluent areas. Belle has also worked as a freelance natural hair stylist specialising in braiding, working in the fashion and hair industry Belle has gained useful knowledge in haircare and trends. Belle has been featured on numerous websites such as the Fashionbomb Daily, Style Pantry, BGLH, and Ebony Glam. Belle has also been featured in Blackhair magazine a major UK publication. 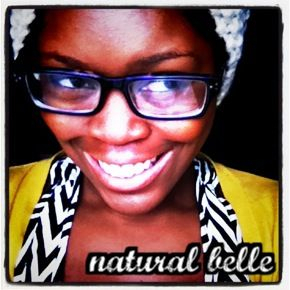 Her main aim is to inspire women to embrace their natural assets and highlight the beauty of all natural woman. Next ArticleFrom Rotterdam to the international stage, Pam Feathers sings with soul.